Antonio Conte has admitted that he was absolutely delighted by Ethan Ampadu’s performance for Chelsea in their League Cup victory over Bournemouth on Wednesday night. The 17-year-old played the full 90 minutes as he helped Chelsea to book their place in the semi-finals of the competitions with a dramatic victory at Stamford Bridge. Dan Gosling cancelled out Willian’s opener when a strike for Bournemouth in the 90th minute, only for Alvaro Morata to net an eventual winner just moments later. Ampadu has been impressing whenever called upon by Conte this season following his move from Exeter City in the summer transfer window. And although the Chelsea boss felt that his progress was impeded by an early booking on Wednesday, he was still delighted by his overall performance. 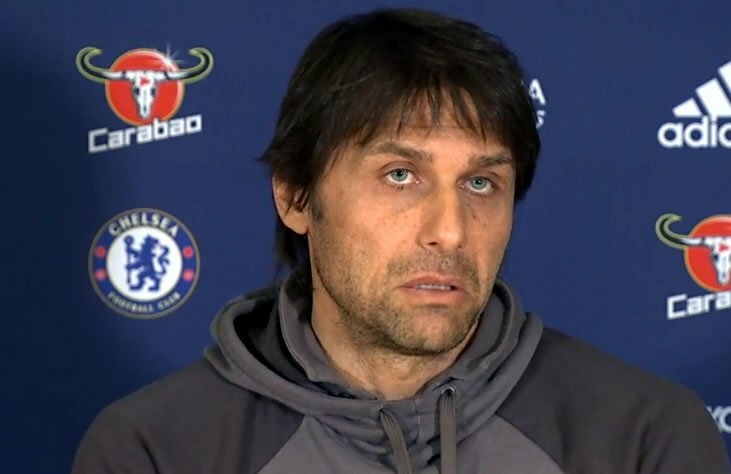 Speaking at his post-match news conference, Conte said: “After one minute and 40 seconds [the referee] decided to book a player who is 17 years old. Chelsea return to Premier League action on Saturday lunchtime when they take on Everton at Goodison Park. The Blues head into this round of fixtures in third place in the Premier League table and 14 points behind leaders Manchester City after 14 games of the new campaign. Chelsea won the Premier League title in style last season in what was Conte’s first campaign in charge at the west London club.